Drivers throughout every part of the country must adhere to the traffic laws both of the country and of the state in which they are driving. Emergency vehicles are no exception to this rule, and they must also comply to the state statutes that determine which type of lights and sirens can be used for their vehicle type. Every state has different light laws that the emergency vehicles must comply to. 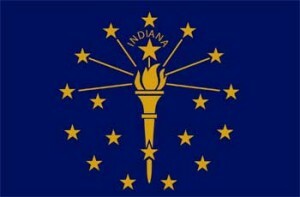 In Indiana, there are several statutes that determine which color and type of lights can be used in emergency vehicles. In this article, we will look at the various laws for each type of emergency vehicle to ensure that the laws are kept to keep people safe and out of trouble. 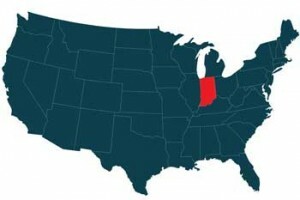 Here is what should be noted about the emergency vehicle lights in the state of Indiana. Before looking further into the laws regarding emergency vehicle warning lights, the first thing that needs to be understood is the description of an emergency vehicle according to the laws in the state of Indiana. Any emergency vehicle is a vehicle that is registered to help in the case of an emergency like a fire truck or police vehicle. The statute also covers ambulances and vehicles that are used by the state Department of Transportation as well. The statute that governs which vehicles are emergency and utility vehicles is the statute 9-13-2-6 for the state of Indiana. When it comes to police lights, no two states are the same. According to the state statute of 9-19-14-5, Indiana police cars can use blue and red warning lights to alert traffic to their presence or emergency situation. The statute does require that police car use at least two of their signal lamps, with one emitting red light and the other emitting blue light. There are certain specifications for where the lamps can be set as well. The blue lamp must be situated over the passenger side of the vehicle, while the red lamp must be over the driver’s side of the vehicle. The lights of the police vehicle must be visible from a distance of 180-degrees at a minimum. They must also be mounted wide and high on the car for the best visibility. According to the state statute of 9-19-14-5.5, any vehicle that is registered as an emergency vehicle with the Department of Transportation can use a red or white lamped vehicle. For fire trucks, this means maintaining the same laws as police cars without the use of the blue lamp. Instead, a fire truck must use a red and white lamp emergency light, and the light must still be visible for at least 180-degrees. The vehicle must be registered as an emergency vehicle. In Indiana, any registered vehicle that is used as a volunteer emergency personnel vehicle can have emergency lights to be used while driving to the scene of an emergency. For volunteer fire fighters, the lights on their vehicles must be at least 35 watts. The lights must be blue light, but it can have multiple bulbs within the light as long as they are all blue. Strobe lights or flashers can be used in the place of the blue lights as well. If the volunteer fire fighter vehicle has blue lights, they must be placed in one of three places: at the top of the chosen vehicle, on the inside dashboard but shielded from the driver, or on the front bumper of the vehicle at the level of the bumper. There can be no more than four emergency light displays on the volunteer vehicle, and they must be either revolving or flashing lights. Volunteer fire fighter vehicles must be registered with the local volunteer fire department and the Department of Motor Vehicles for each county. This is important to ensure that only registered vehicles use the blue lights in the case of an emergency. All registration should be kept in the vehicle to avoid issues should something come into question. According to the statute 9-19-14-2, any ambulance within the state of Indiana has two options when it comes to their warning lights on their vehicle. They can choose to use a solid red light, or they can choose us a split of white and red emergency lights. However, the statute states that ambulances can choose to have their lights installed by an ambulance light installer company in order to mount them efficiently. The ambulance warning lights must be rotating, flashing, or oscillating, and they must have long visibility of 180-degrees at the lowest. In this case, it is similar to a police vehicle in order to give other drivers on the road ample time to prepare for a fast-approaching ambulance that might be in a hurry to get to or from an emergency. A tow truck is a vehicle that transports another vehicle from the scene of an accident or emergency to another location. They often carry large and difficult loads, and they have several statutes to withhold within all 50 states. In the state of Indiana, much like the rest of the country, any tow truck that is registered with the Department of Motor Vehicles is legally allowed the use of an amber light on their vehicle to signal their presence on the road. The light for these utility vehicles must be flashing. The vehicles seen on the sides of the road during various road construction are registered construction utility vehicles. In the state of Indiana, these vehicles are granted special permission to use a certain type of emergency warning light for other drivers on the road. Construction vehicles must be registered with the Department of Motor Vehicles as a construction/utility vehicle. At that point, they can then add an amber light to the top of the vehicle to alert other drivers of the truck’s presence. The light must be flashing. There are a wide variety of utility vehicle types, and they can range from water department vehicles to garbage vehicles. A vehicle must be registered in order to qualify as a utility vehicle. Utility vehicles in the state of Indiana are permitted to use an amber light on their vehicle. However, the light must be flashing to abide by the given statute. The vehicle must also be registered with the Department of Motor Vehicles as an emergency/utility vehicle in order to maintain the warning light. The light on the top of the vehicle must be flashing. A pilot vehicle is any sort of vehicle the drives before a large load or guides cars through a construction zone. The purpose of their emergency light is to alert to drivers of the dangerous conditions ahead. The state of Indiana does not have a high policy on their pilot vehicle lights. The only specification from this state for this vehicle is that any pilot vehicle, whether that be car or truck, must use an amber light. The light must be a specific warning light, and it must be mounted on the top of the vehicle for the best possible visibility within the state borders. A security vehicle can mean anything from a mall security vehicle to a college campus security vehicle, to a plant security vehicle. Regardless, the state of Indiana has light warning laws for security vehicles since they fall under the category of utility/emergency vehicles. In order to comply with the laws, however, each vehicle must be registered with the Department of Motor Vehicles to ensure that they are maintaining the law for the state. Once registered, the security vehicles can add an amber light to the top of the car. The light must be visible for so many feels, and it must be a flashing light in order to be considered a warning light. When it comes to emergency vehicles, the state of Indiana puts certain regulations on the things that the vehicles can have like lights, sirens, and equipment. In order to comply with the state laws, it is always important to do the ample research needed to ensure that any and all vehicles are registered as an emergency/utility vehicle and that the laws for these vehicles are maintained. Each vehicle type has its own light laws, though the restrictions are much easier to understand in this state. For example, only a police car, fire truck, ambulance, and volunteer fire vehicle have various light requirements. Utility vehicles, including construction and pilot vehicles, must have a specific color light that is different from the red, white, and blue laws of the other emergency vehicles. Remember, each vehicle must be registered with the Department of Motor Vehicles either in the state or local sector. The registration papers should be kept inside the vehicle at all times to ensure that the vehicle complies with the law given by the state of Indiana for the safety of both emergency vehicle drivers and other drivers on the road.